I highly recommend this place for you to get your car fixed or whatever you need with your car very highly-skilled skilled trained mechanics had a great experience my first time there. Alan took care of me and all my needs very family-friendly place thank you guys for exceptional service. I'm thankful for mechanics like you. Fast-Fair and Friendly I highly recommend Al and his crew. I stopped in to get a quote for exhaust work. Unfortunately, they could not get me in as soon as I wanted, but they recommended Tuffy on Cleveland street. I was pleasantly surprised and saved quite a bit of time and money at Tuffy. It's great when good places support each other. Really nice people, did a great job on the work on my jeep, and had toys in the waiting room for my grandkids to play with. Always honest and promt service with great prices. Thank you! Fair prices, friendly staff. They dont charge for what you dont need. Will definatley be back. Thankful for Al and his crew. He was able to fit me on short notice and on a tight pressed schedule. He was very honest and professional when dealing with my car. Also, the price can't be beat and there is an area for my toddler to play and watch tv!! I will definitely be coming back here and recommending to friends and family. Al's a good honest hardworking guy, and as you probably know, that's hard traits to find these days. I used to work with him for some years before he opened his shop, and I can tell you that he is good people. Honest,Knowledgeable,Compassionate, Educates you on what is going on with your vechicle now and the future. Great preventative maintainence program. Prices are great. Frank Anselmo. Johnson's Automotive is a great place to take any vehicle. They are honest, fast, and reliable. Cheap prices and also offer financing for low income based families. They do just about anything. They will inspect your car and pin point everything that may be wrong with it. They're one of the greatest places I've been to in a while. Best auto repair shop in north ridgeville oh This shop is so honest with his advice and only repairs what you need. Also very fair price compared to other auto repair shops. This is my second time here and my experience has been great again. I would recommend this shop if you are looking for honest quality work at a fair price. Good job! Checked my car from head to toe. very good service. great people friendly. I have had Johnson’s Automotive taking care of my car for about 4 years. I have always been satisfied with their work and the prices I have been charged.. I always google to see how much a particular work would cost and they have always been on point with the average cost.. I trust them with my car and feel they are not gauging me or taking advantage of me.. He and his staff are friendly and knowledgeable.. Dropped off my car that was leaking oil. They were able to fix it and on time that they promised. Great Service! Johnson’s automotive was a great place to go if any work needs done. They were able to help me out in just over an hour with eating the part and fixing it. Very professional and quick!!! Definitely going to be going there for anything I need. They explained what I needed in plain simple language. The car was ready when promised for the quoted price. I didn't feel pressured to buy things I didn't need, and trusted his wait and see approach for a few items. I was very pleased, and will be back when the inevitable happens. I was pleased with the service I got and an honest advice given for what I may need going forward. Thank you! Happy with the products offered as well as the service. First time customer and will definitely be back. I took my F250 in because it blew out a spark-plug. Al gave me a honest review of my options. The repair was done right and completed quickly. I am please with the repair and very pleased with the fair price. I highly recommend them. Good job all around! When my fuel pump gave out, my car was inoperable. Johnson's arranged the tow which was reasonably priced. The estimate for the repair was also reasonable. The repair was done quickly but the repair was done very well. And Johnson's provide a lifetime guarantee with the replacement fuel pump. I am a first time customer that was treated with honest automotive care. No gimmicks, just professional recommendations. Great mechanics with great service! Experts, very knowledgeable, and done on time. Thanks Again. Johnson's Automotive did the needed repair quickly and at a fair price, well done. I highly recommend them for your repair needs! I was impressed with the clean shop and professional service in repairing my truck. I'll not only be back, but I'm recommending you to my friends. johnsons automotive has serviced many of my cars,vans,and trucks, al is great very helpful !! I have used Johnson's Automotive many times. They have always been courtesy and upfront on what is going on with my car. Their prices are good. Service is done quickly and correctly. Thank you so much for the great work that you do. I will be back! I have been going to Al for a few years now and he has been a big part of the reason my 99 ford expedition is closing in on 400k miles.. I am always happy with Al's work!! Johnson automotives is the best. I started going to Johnson automotives about a year ago and they have taken care of all of my automotive needs.. Al has taking care of my car, my husband's car and now I am trusting him with my sons car. Al is trustworthy and honest and everything that he does. every time my husband and I get a chance we recommend him to all of our friends and family. Uncomfortable temperatures can seem all that much worse when you're behind the wheel, but maintaining a functional and efficient AC and heat system in your vehicle doesn't have to be a difficult endeavor. At Johnson's Automotive, we provide reliable auto AC and heat repair services to drivers throughout North Ridgeville, OH. If you're a vehicle owner looking for a North Ridgeville, OH, auto repair service that you can rely on, look no further than Johnson's Automotive. We have highly experienced technicians that can handle repairs on a wide variety of parts, including brakes, suspensions, starters, engines, exhaust systems, and air conditioning systems. You can trust us to provide honest pricing no matter what kind of service you need. A car that won’t start can bring your day to a screeching halt. At Johnson's Automotive in North Ridgeville, OH, we provide the fast, reliable starter repair service you need to get back on the road and back to your routine quickly and cost-effectively. Whether your brakes are squeaking, feel mushy, or don't have the same grip they once did, you need a reliable North Ridgeville, OH, brake repair service to handle the problem quickly. At Johnson's Automotive, we're committed to high-quality products and workmanship whether you're a new or returning customer. We have more than 30 years of experience in the auto repair industry. Is your check engine light on? Many people tend to ignore this very obvious warning sign. But if your check engine light is trying to tell you something, failing to bring your vehicle in could end up costing you down the line. At Johnson's Automotive, we're your go-to source for affordable and efficient auto repairs, and we have the tools and skills to get to the bottom of whatever's ailing your vehicle. Engine performance problems are not always what they seem. What would appear to be “mechanical” in nature is often related to a vehicle's engine control unit (or it’s powertrain control unit). An electrical rather than a mechanical element of your engine, the engine control unit works to ensure optimal engine performance by regulating a vehicle’s air-to-fuel ratio, idle speed, ignition timing and more. When it’s not performing properly, the engine itself will perform poorly. Has your vehicle's engine stopped performing? Replacing your engine may not be a feasible option, especially if you're dealing with an older car whose components aren't easily available on the market. So if you need a qualified team to rebuild your engine, turn to Johnson's Automotive. A properly functioning muffler and exhaust system keeps your car quiet, as well as reduces air pollution. Your exhaust emission system starts at the front of your car, right behind your engine. Exhaust manifolds connect to the cylinder heads, where they collect exhaust gases. As the gases pass through the exhaust system, they're analyzed by oxygen sensors, then refined by the catalytic converter and finally, muffled by the muffler, making your car run smoother, cleaner and quieter. It's a pretty complex system, and when there's a problem, it can be noisy and embarrassing. Our expert mechanics are pros at diagnosing the problem and getting you right back on the road. We offer a full range of exhaust service options, from high performance mufflers and exhaust systems to value-oriented replacement mufflers and systems. In addition, we guarantee you quality, name brand parts installed by a trained, tested and top-of-the-line technician at a great value. When you need your muffler or exhaust system repaired, call the experts! We're here to help. Your timing belt is integral to the safety and reliability of your vehicle. So if you've clocked enough distance to warrant a timing belt replacement, it's in your best interest to have your vehicle serviced as soon as possible. At Johnson's Automotive, we offer dependable timing belt replacement services for a wide variety of makes and models. Buying tires can be a confusing process, and there's no denying it can also be a big decision with lots of choices. We're here to walk you through the choices and help you make the best tire purchase for your driving habits. When your vehicle stops working properly, your first move is to contact your local mechanic. But did you know that regular tune ups are just as important in caring for your car? In fact, by scheduling tune ups as needed, you can do your part to avoid costly automobile repairs down the line. At Johnson's Automotive, we offer thorough tune up services for vehicle owners in North Ridgeville, OH. No matter the age or condition of your car, we have the knowledge and skills to give it the maintenance it needs to keep on running. Does your car pull or drift away from a straight line when you let go of the wheel? Do your tires wear rapidly? If so, you may need a wheel alignment. At Johnson's Automotive, we offer affordable wheel alignments for a wide range of cars and trucks. If you want to keep your vehicle running well far into the future, Johnson's Automotive is a North Ridgeville, OH, auto repair shop that can help. We're a locally owned and operated company with more than 30 years of experience in the automotive industry. We know that offering fair prices to our clients is a key to developing a positive reputation throughout Elyria, Loraine, Oberlin, and Avon. Johnson's Automotive is a North Ridgeville, OH, auto repair shop that will work quickly while maintaining quality. We're available Monday through Friday, 8am - 5pm, and Saturday, 8am - 12pm. Our shop is closed on the last Saturday of each month. 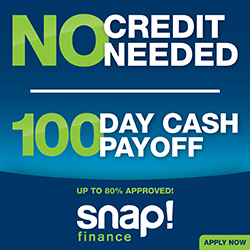 We accept cash, personal checks, debit, and most major credit cards. Call Johnson's Automotive today to speak with a professional about your options. © Johnson's Automotive. All rights reserved.